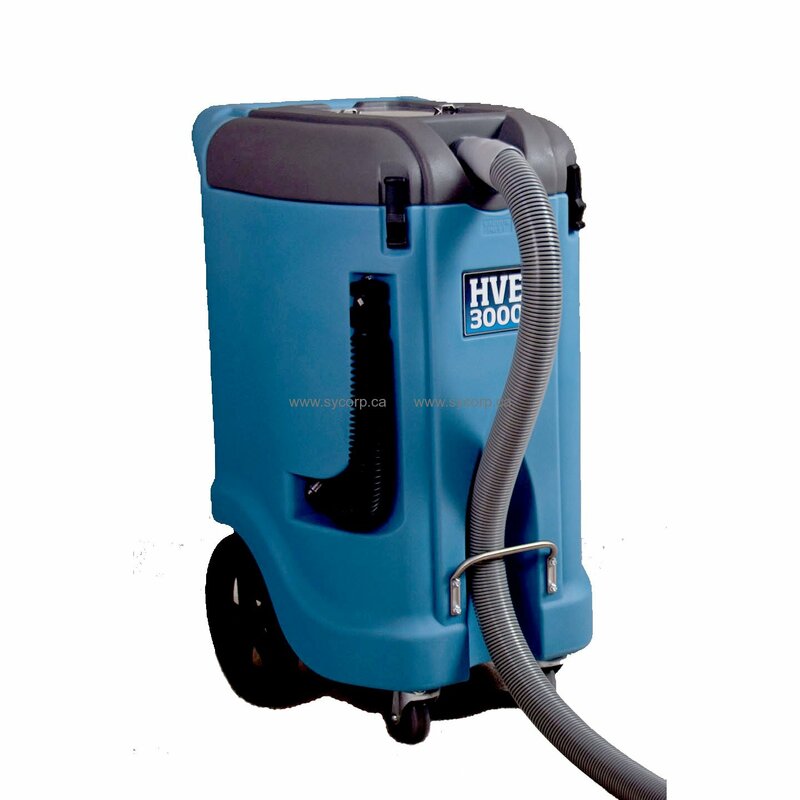 The HVE3000 combines powerful productivity functions to make it one of the most versatile extractors available today. Get portable extraction plus truckmount boosting and prefiltering – all in one unit. Plus, a slim profile and 4-inch wheels mean you can get to places your competitors can’t. Expand your extraction capabilities and access high rises and secure areas while saving time and increasing your profits. High performance vacuum. Dual vacuum blowers and 2 in. inlets and outlets for maximum airflow. Easy maneuverability. Unique vacuum hose and housing design makes moving the unit easy – just pull on the hose! Slim profile to fit through the narrowest doors – only 22.5 in. wide. Large capacity waste tank. 12 gallon tank means fewer trips to the drain!